The annual Raise Your Paws fundraising dinner for the Grand Forks Circle of Friends Humane Society was a few days ago. 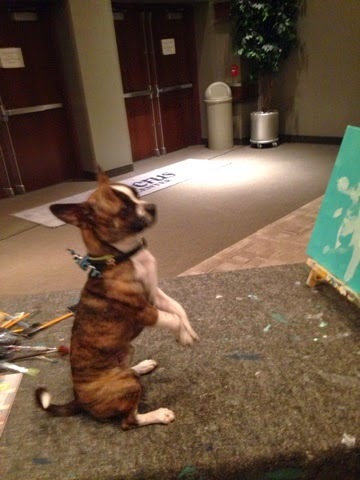 We had a lovely time between the silent auction, live auction, and Newman the painting dog. 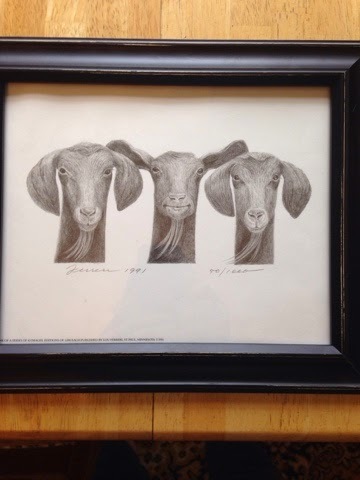 One of the things we worked hard to win in the silent auction was this drawing of three billy goats. It speaks to me. And here's Newman sitting patiently for a treat prior to painting. And here is an action shot. 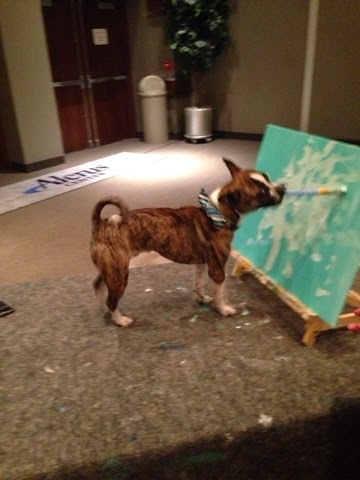 Newman is a very cute little pup and quite the artist indeed. He had several original works up for bid in the silent auction. Hi is there a way to contact the blogger?